What’s next for the waste industry? Leading recycling and waste management company FCC Environment has launched an assessment of how the UK’s political landscape might affect the waste industry over the next five years. The report, ‘Mapping the politics of waste’ looks into the Coalition Government’s waste policy and the manifestos of the five main political parties on zero waste, the circular economy, recycling targets, resource efficiency and investment. Waste strategy has developed at a different pace across the United Kingdom under the Coalition Government, with Scotland and Wales making more progressive commitments, while policy in England has stalled. The research was commissioned because of the uncertainty surrounding the waste and resource management industry – in particular Defra’s step back from the sector. The report considers possible outcomes such as a more devolved Scotland, the impact of next year’s general election and potential withdrawal from EU membership. Although Scotland’s waste law has already been fully devolved, further devolution could possibly drive more progressive reforms or result in conflicting priorities. Current polls suggest that there may be another coalition government but its political make-up remains unclear at present. 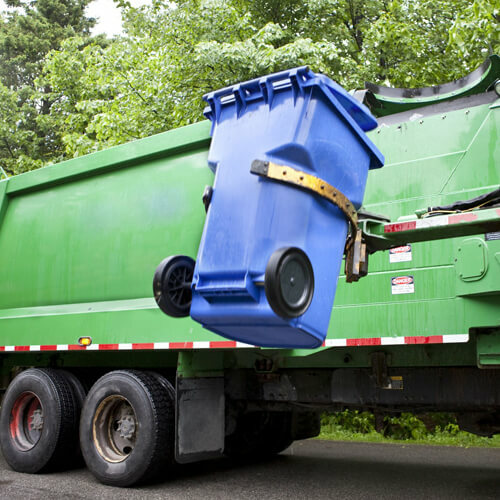 The report suggests that a Conservative-led coalition is likely to lead to further public spending cuts affecting municipal waste collections, in contrast to a Labour one which is expected to push the business case for waste. The former would also result in an EU referendum which could have major impact on the waste industry, given the influence the EU has had on waste policy in the UK.